Everyone experiences stress, it’s an inevitable part of life. However, the question is more of how we choose to handle it. Will we allow stress to eat us up and ruin our day? Or will we learn to accept certain things and let the stress pass? 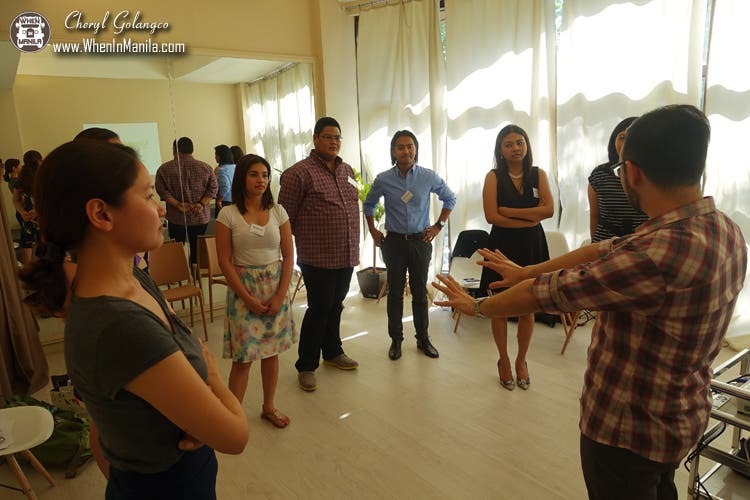 A few weeks ago, I attended a class by Migs Ramirez called Stress Management 101. It is one of the classes La Vie Institute offers as part of their Personal Development for Professionals Workshop. The workshop not only prepares your resume for the corporate world, but it ensure you have the personality to match your credentials. So allow me to share some of my learning from Migs Ramirez. Okay, you’re probably thinking, “duh, it’s not as if I LOOK for stress.” Right? Right. Thing is, we allow it to come in. Let’s say for example our phones. What’s the FIRST thing most of us do when we wake up?…we check our phones! So what happens if we check it at 6 in the morning and we get a message saying that all the documents we finished last night were somehow lost and we need to repeat them? STRESSSS!! So to avoid this, meditate first, relax, take a deep breath, and when you’re ready, that’s when you check your phone. Another way to avoid unnecessary stress is by learning to say no. We don’t always have to agree to something if we know we can no longer handle it. Already stressful situations get worse when we choose to feed our stress. I.E. your boss is shouting at you and you decide to shout back. Instead of feeding your stress, learn to alter the situation. Some ways to do that are by expressing your feelings, learning to compromise, taking note of your mistakes, being more assertive, etc. There are several ways to alter an already stressful situation, and it starts with a little breathing. Moreover, even before it happens, learn to manage it. Instead of waiting for the last minute to finish something, do it NOW and alter a possible stressful situation. Sometimes we get stuck in stressful situations that are just unavoidable, or situations that we’re just not sure how to handle. Well, instead of trying to fight it, we need to learn to adapt to it. Reframe your problem, look at it from a different perspective. Focus on the positive and know that there will ALWAYS be a bigger picture, so what is it? Sorry to say this guys, but there are some things that we just can’t change. However, it doesn’t mean we need to stress ourselves out over it. Learn to be open and look for the upside in the situation. If you can’t find it, learn to share your feelings, talk about it with friends and family. And lastly… learn to forgive. Not just the person who may have hurt you, but yourself. As simple as this may sound, you’re probably feeling stressed because you didn’t get enough sleep, or are feeling sick or dehydrated. So go sleep, go relax, go exercise! Remember to drink enough water and hydrate yourself. Most importantly, remember to keep a sense of humor! There are many more ways to manage stress, this is just a sixth of what I learned during our Stress Management Class in La Vie Institute. Trust me, it’s so much fun to learn about all this LIVE (complete with games and stories) especially when you’ve got this cool guy as your mentor. Are you a WORKAHOLIC or a LIFEAHOLIC? We’re used to hearing the word “workaholic”, a term we usually use to describe a person who seemingly enjoys work too much or feels compelled to do it. We usually relate this word to stress as too much work leads to stress. However, have you ever heard the term “lifeaholics”? Well, a lifeaholic is someone who enjoys LIFE and feels compelled to LIVE life. Are you alive or really LIVING? A lifeaholic is someone who is happy with life. When we become more positive, we become more grateful. When we become more grateful, we start noticing the simpler things in life. (i.e. I’m grateful I can sit down right now, I’m grateful I have a fan beside me, I’m grateful for this glass of water, etc.) So, what are YOU grateful for today? Bazooka Rocks 3: How Taking Back Sunday And The Used Killed It!